HTPC Guides runs on a VPS from Digital Ocean which has 512 MB of RAM a single CPU core and SSD storage so the Pi, although weaker, is perfectly capable of running WordPress with its specs. You will be using nginx and MariaDB MySQL for speed, later I will show you how to install Varnish Cache so your Raspberry Pi WordPress homepage and web site are crazy fast. This tutorial was created on a Raspberry Pi 2 but should work on any version running Raspbian, Minibian or Ubuntu. WordPress requires a few components. I recommend using the latest distro (currently Raspbian Jessie, Minibian image) to ensure you have the latest PHP version so you get security updates and the benefits of opcode cache. Enter MariaDB or MySQL (syntax is the same) to create the WordPress user and database. You use the password you set during the MariaDB or MySQL installation to enter as the root user. Create the WordPress user, database and grant privileges. You should change the default password so make sure you do so in both lines 1 and 3 highlighted in blue. Change ownership of the wp-config.php to the www-data user which nginx runs as and restrict permissions to wp-config. Change these lines to match, using the unix socket (php-fpm.sock) means you don’t have to go through the TCP stack which theoretically makes PHP processing faster. Ensuring the ; before the 127.0.0.1 line means it is commented out. 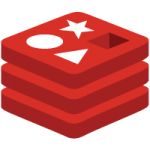 I recommend installing Redis server so you can use object cache with this WordPress Redis Object Cache plugin. If you want the latest Redis server with the fastest performance use this guide to build the latest Redis server from source. Go to http://ip.address/ to install WordPress on your Raspberry Pi. I won’t cover that here since it is very straightforward. The next post will involve installing Varnish Cache so your Raspberry Pi serves up speedy cached pages.